403(b) Vs 401(k)–Which One Is Best For You? If you're like a lot of people, you've contributed to a 401(k) at some point in your life. It's usually intentional and not automatic, though that is changing. A good thing about that change is that new employees are automatically enrolled as opposed to having to sign up. The bad part is that the percentage is usually only 3% of their salary. Either way, contributing has many benefits. Forced savings, an employer match, and saving on taxes immediately (if the tax-deferred option is selected), are among the benefits. My current job offers a 403(b), “something like a 401(k), but for teachers” is the way it is often presented. This is not really true. If you're between jobs and especially when you're considering options, be sure to inquire about which type of plan your prospective employer offers. The consequences of an inferior plan could mean the difference between tens of thousands of dollars, if not more. Here are some of the key differences between a 401(k) and a 403(b). The IRS isn't looking out for you, it's looking to get money. Yes, they will encourage you to save money for your future, but they have good reason to. By giving you an incentive to defer some income and let it grow, when you DO use it, you'll have MORE of it to spend, and MORE of it to pay MORE taxes on. Put another way, the IRS is offering a legal tax shelter for your earnings. Because they have a close relationship with investment banks, and there is mass marketing from them, most plans only allow you to invest in the financial markets, and since 1974, mutual funds. If you want to dig deeper, you'll find out that you can also buy other investment types—often termed alternative investment vehicles—such as real estate or gold. 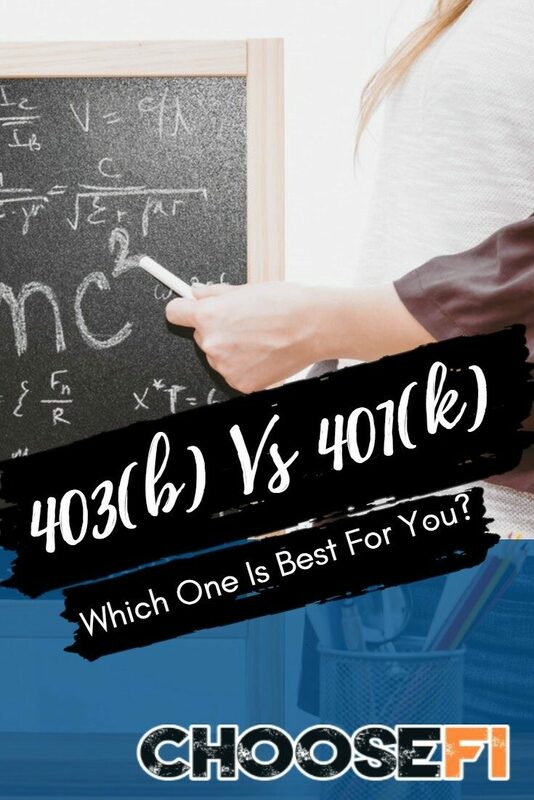 The HUGE difference between a 401(k) and a 403(b) is that the same law that governs employers offering 401(k)'s, ERISA, does NOT apply to those offering 403(b)'s. As a result, these public institutions—schools, colleges, hospitals, municipalities, and non-profits—are NOT accountable for choosing fair and competitive fund options for you 403(b). Many do not even know what a fair fund option looks like! Elective deferred salary is generally not subject to federal or state income tax until it's distributed. Distributions, including earnings, are included in taxable income at retirement. 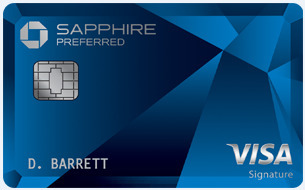 Both force you to begin withdrawing money at age 70 1/2. This is called Required Minimum Distribution (RMD). If you die before it's depleted, your heirs will pay the taxes in their lifetime. (There is talk about changing that to five years instead of an heir's lifetime). A distribution from a custodial account may not be paid or made available to a distributee before the employee attains age 59-1/2 separates from service, dies, becomes disabled, or, encounters financial hardship. 401(k)s offer a quality investment choice to all of their workers. Generally, ONLY include low-cost investment options (fees less than 0.3%) no-load mutual funds. Offerings exclude higher-cost insurance companies and their high-cost annuity products. Often have low administrative costs. Offer mutual funds and index funds in stocks and bonds with a single low-cost fund family. Access to lower cost investment products is the norm. ARE protected by ERISA rules, meaning the employer's administering staff is obligated and held accountable for choosing fair and competitive fund options. Benefits administrators are expected to have 401(k) knowledge. Will use the standard Request for Proposal (RFP) process to ensure vendor quality. Employers with 401(k)s must be compliant and provide plan administration to employees. Offered to private sector employees. Notoriously, 403(b)s do not offer a variety of quality investment choices to all of their workers. Generally, DO NOT include low-cost investment options such as no-load mutual funds (fees less than 0.3%). Used for employees in public institutions—schools, colleges, hospitals, municipalities, churches, and some non-profits—teachers, nurses, ministers, and the like. Offerings are limited to higher-cost insurance companies and their high-cost annuity products. Often have high administrative costs. Have two categories of investment products available: Annuity products and a 403(b)(7) custodial account made up of mutual funds. (See more on those here, at 403bwise.org). Access to lower cost investment products is limited and often comes with wrap-fees. Are NOT protected by ERISA rules, meaning the employer's administering staff is not allowed to pass judgment, good or bad, on what they offer, and very often don't know much. Benefits administrators are not required to have 403(b) training and knowledge and face the fear of legal reprisal for commenting on the plans they offer employees. DO NOT use the standard Request for Proposal (RFP) process to ensure vendor quality. Frequently enlist a third party administrator (TPA) for plan administration and compliance oversight. Offer flexibility in contributions because of Catch-up allowances (See examples of that here). While this comparison might not be comprehensive, it does shed light on the discrepancies in investment vehicles between the private and non-profits. Therefore, if you're career planning, or know someone who is, take note. While the Millionaire Educator has suggested not contributing in a 403(b) that has only expensive options, you might feel that a bad plan is still worth contributing to, especially if it means not saving for retirement at all. Because your investments might be on autopilot, take a close look quarterly at your funds and expenses. Sales charges of 5.25% with every payroll contribution. Rolling fund fees of 1% or higher. Wrap fee of 1-2%, over and above the fund fees. Annuities with surrender charges if held less than 5 -15 years. 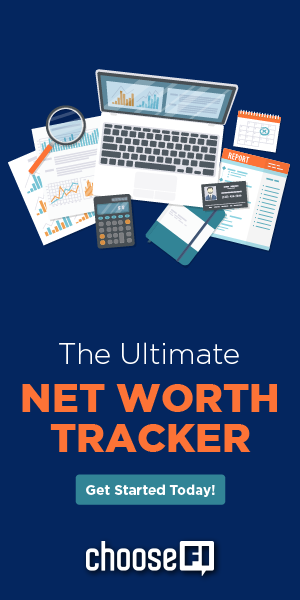 In conclusion, investigate your options and map out your entire plan for a Roth IRA, an HSA and your 403(b)/401(k). As a result, you might find a bad 403(b) plan could substantially alter that map. Want more from Earlier FI? Check out her other articles here. Great article except that you only scratched the surface of just how corrupted the 403(b) is with public K12 school districts. Those other public employer plans are better because their unions or employers actually give a crap about their employees. BUT NOT IN THE K-12 world. Nobody in leadership has ever talked about the 403b publically. There have been over 30 online and newspaper reports in the last 20 years all saying the same thing, and not a dent in 403b reform. How can millions of public educators not know and to even ask questions? Nope, they just sign up when an aggressive sales person comes into their classroom during recess. Nobody can stop them from walking around campus! The K-12 culture is very different than hospitals, police, fire and higher education. BTW there are many very savvy teachers who know the investing process and to stay away from those worthless annuities but they are not raising a complaint. Thank you Stephen for your comments. You are correct – it only scratches the surface of how corrupt the 403b system is. It’s so bad that teachers (and the rest of the population, for that matter) find it incredulous and do not take action. If they did, we’re not seeing any indication of it. I can only hope that one person reads this and your comment and makes a change. They’ll save themselves $10,000’s in their retirement account as a result, as you know well. The FI audience is wise and tuned into fees and excessive costs so I have hope. Thank you again for commenting and encouraging others to take action.